The French manufacturer, which was originally founded in 1947 as a producer of ski bindings, is a firm fixture on the ski circuit to this day. Salomon has something in its collection for all types of fun in the snow. From freeride skis and fast cross-country skis to bindings, boots and helmets. They have also been expanding their summer range in recent years, particularly for trail running and shoes. With its comprehensive clothing collection, the brand is regarded as a full-range supplier and stands for great quality and outstanding design. The collection clearly reveals the brand's alpine mountain sports origins! The company headquarters is still located in the French alpine town of Annecy today, within easy reach of the mountains where they can put the products through their paces! Outdoor enthusiasts with sporting ambitions can find high quality clothing, which wins you over with its top-class functionality, great tailoring and technical details. Freeriding, ski touring, downhill skiing, cross-country skiing, snowboarding, mountain sports, running and casual pursuits are all excellently catered for and there's something for all activities! 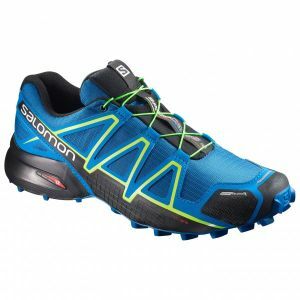 Salomon's most extensive range is in outdoor shoes. The trail running shoes can be spotted on world-famous elite athletes and have already conquered some of the most demanding runs. The streamlined running shoes are a good, reliable choice for training and preparation. Comfortable approach shoes with decent grip and great craftsmanship are also included in Salomon's collection, as well as waterproof hiking shoes and sturdy mountaineering boots for both men and women. The multisport shoes and stylish sneakers are also incredibly versatile. These are produced to the same high quality standards and are as well equipped as the pure-bred outdoor shoes designed for special purposes. Comfortable, quick-drying baselayers &, underwear, moisture-transporting midlayers, warming fleece jackets, breathable softshells and waterproof hardshell jackets for physically demanding sports - putting together a complete layer system is easy. Seam-free running socks and ski socks and well-fitting beanies also have their place in the range. Their technical materials are optimally coordinated. On top of that, Salomon is a pioneer in body mapping. For this design and manufacturing process, different fabrics are used for different areas of the body. Breathability and air flow are of paramount importance in those areas with the most heat build-up. Sensitive areas are insulated against the wind and cold. Salomon works closely with the athletes it sponsors during the development process. And because these athletes are all elite in their respective sports, the designers and product developers receive extremely valuable feedback. This is particularly noticeable in the small details, which are super practical when you're on the go on a trail run or on skis. The trail running backpacks, for example, are extremely well designed, comfortable to wear and packed full of super practical details. You will hardly notice these ultra-light companions on your back meaning you can carry lots of provisions and equipment. Matching water bottles and hydration systems are also available, which guarantee your fluid supply at any time on a long run!